Twenty-five years after her passing, Audrey Hepburn remains the most beloved of all Hollywood stars, known as much for her role as UNICEF ambassador as for films like Roman Holiday and Breakfast at Tiffany’s. Several biographies have chronicled her stardom, but none has covered her intense experiences through five years of Nazi occupation in the Netherlands. According to her son, Luca Dotti, “The war made my mother who she was.” Audrey Hepburn’s war included participation in the Dutch Resistance, working as a doctor’s assistant during the “Bridge Too Far” battle of Arnhem, the brutal execution of her uncle, and the ordeal of the Hunger Winter of 1944. She also had to contend with the fact that her father was a Nazi agent and her mother was pro-Nazi for the first two years of the occupation. But the war years also brought triumphs as Audrey became Arnhem’s most famous young ballerina. 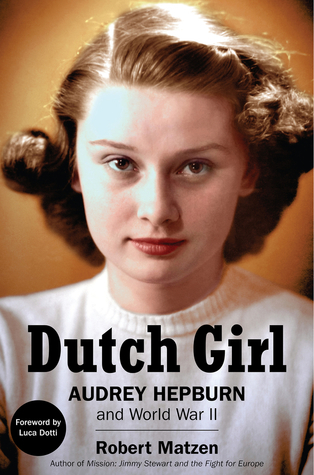 Audrey’s own reminiscences, new interviews with people who knew her in the war, wartime diaries, and research in classified Dutch archives shed light on the riveting, untold story of Audrey Hepburn under fire in World War II. Also included is a section of color and black-and-white photos. Many of these images are from Audrey’s personal collection and are published here for the first time.